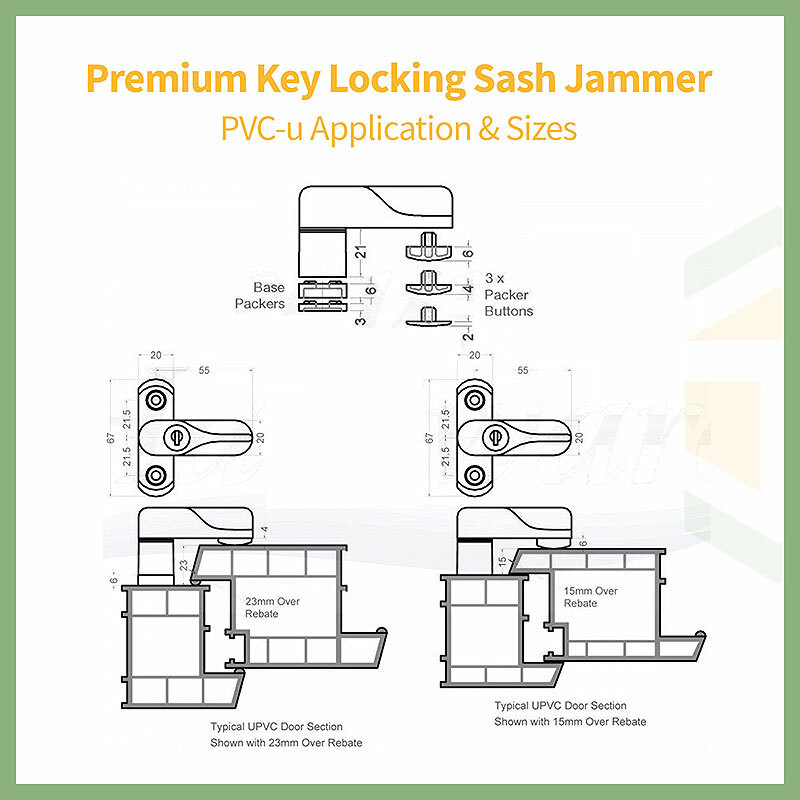 Product information "Key Locking Sash Jammer Premium"
Secondary security for windows and doors! 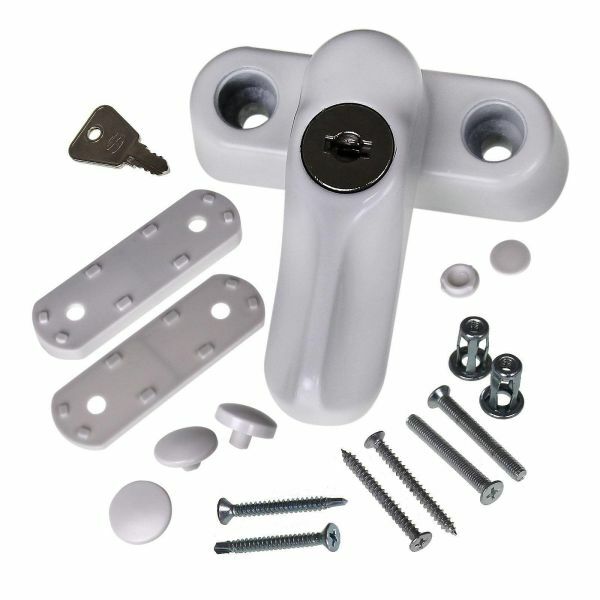 Premium key locking sash jammer for extra secure windows and doors. Strong cast zinc body and durable powder-coated finish means it'll work well and look great for years. Supplied with variety of fixings including jack nuts and screws. 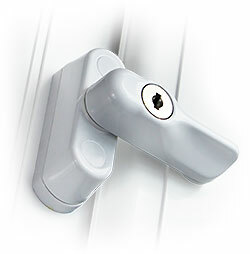 Additional security for windows and doors that can be quickly fitted and is easy to operate. Sash Jammers, also known as Sash Blockers offer highly effective protection against intrusion and are popular for use in offices, schools, universities and hospitals as well as housing. Available in a choice of colours, including Chocolate Brown, for use with Rosewood or Mahogany frames and Caramel for Oak. The Packers are used to raise the Jammer Body to accommodate deeper offset between frame and sash. The underside of the Jammer Arm is 21mm from the base of the Jammer Body, so packers should be used if the offset between frame and sash is greater than 21mm. Using the Packers, the sash jammer can be used with an offset from 21mm to 30mm. Three sizes of Button Spacers, which fit to the underside of the Jammer Arm, are provided to help ensure a smooth, tight fit. We have created an easy-to-follow fitting guide, which is supplied with the sash jammers and will help you get started. When ordering your Sash Jammers, consider the following recommendation as to how many should be used. Related links to "Key Locking Sash Jammer Premium"
Customer review for "Key Locking Sash Jammer Premium"